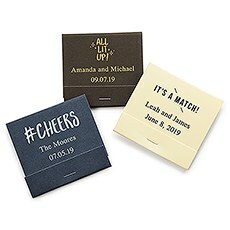 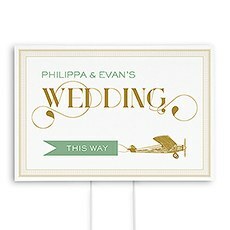 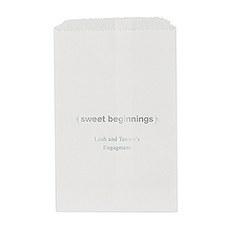 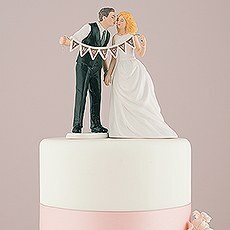 Perfect for the modern couple, this sweet cake topper couple is trend savvy as they pose with a marquee style ampersand. 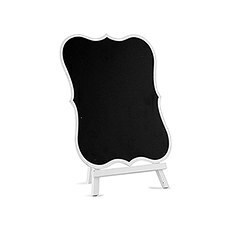 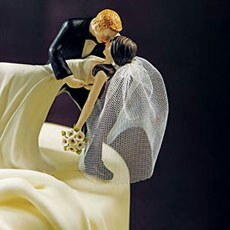 The groom looks dapper in an all black tux and the bride is oh-so-elegant in her sleek, tailored dress. 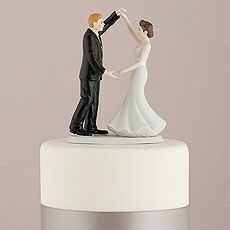 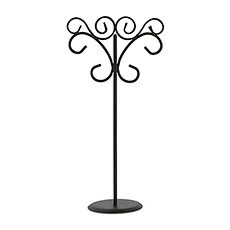 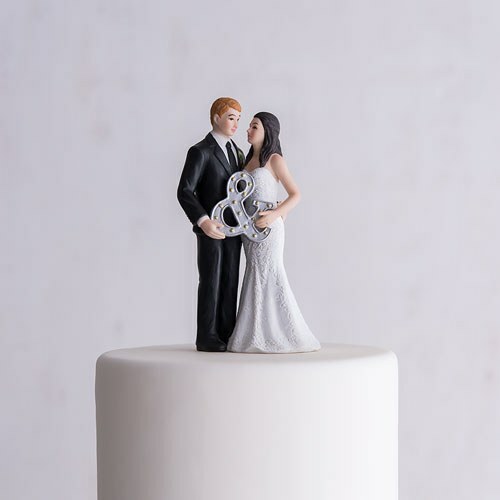 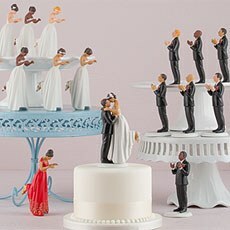 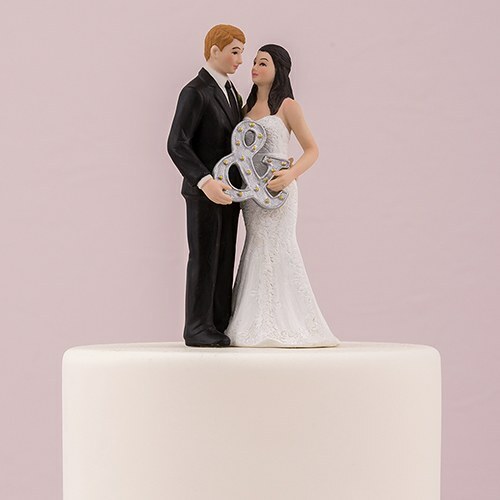 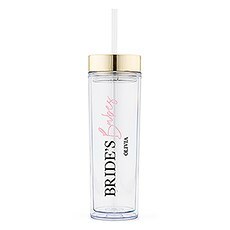 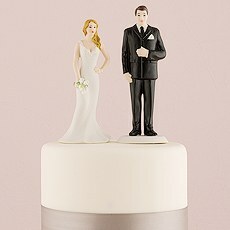 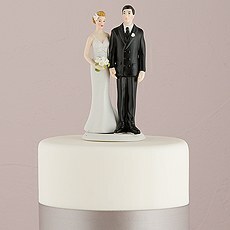 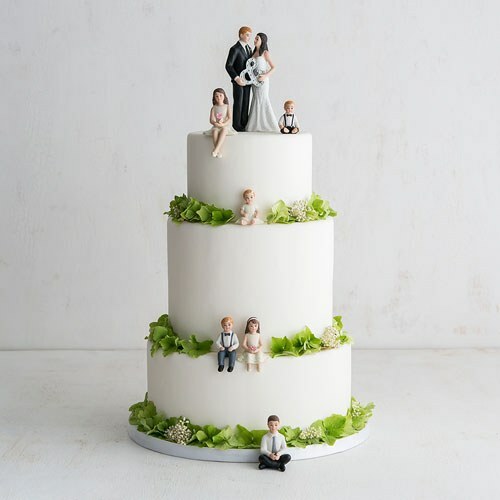 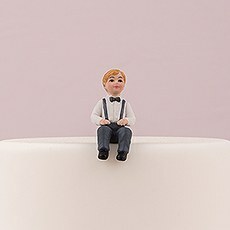 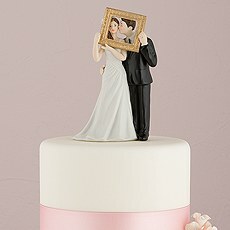 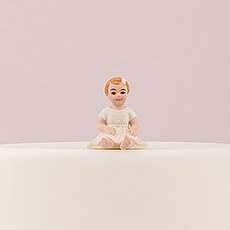 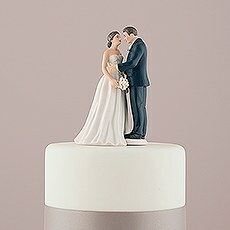 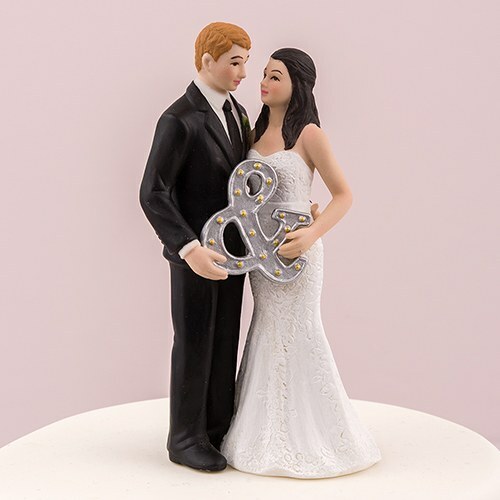 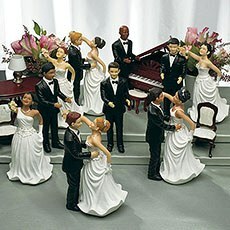 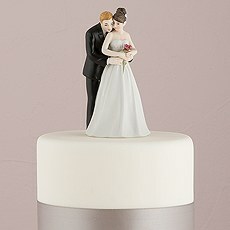 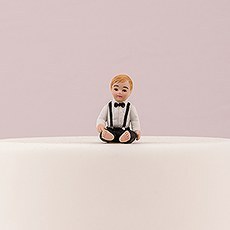 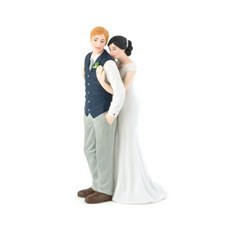 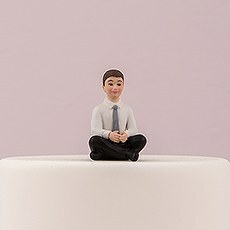 Place this cake topper figurine on top of your cake for a perfect representation of you and your beau. 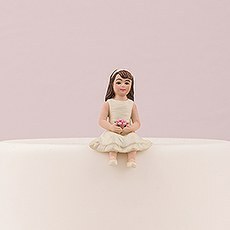 Hand sculpted, hand painted porcelain.